Texas Benzene Exposure Lawyer — The Glenn Law Firm Represents People Suffering From Leukemia, & other Blood-Related Diseases Caused by Benzene Exposure. Have you contracted a serious illness due to benzene exposure at work? Benzene is a cleaning agent and solvent used on ships, refineries, factories and many other workplaces. 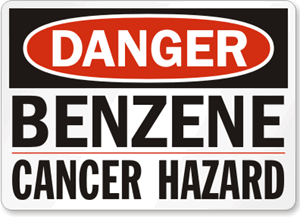 Exposure to benzene is known to cause leukemia and other blood-related diseases. At the Glenn Law Firm, we represent people throughout Texas and nationwide who have suffered serious medical conditions due to benzene exposure. We handle personal injury claims as well as claims falling under the Jones Act in which offshore workers have been injured due to benzene exposure. David Glenn is an accomplished personal injury lawyer who can help you pursue fair and just compensation for your losses. Have you suffered benzene side effects? Call us today at 817-424-5999 to arrange a consultation with an experienced benzene injury attorney. Our law firm represents those who have contracted leukemia and other diseases due to benzene exposure as well as those who have lost loved ones due to exposure. Leukemia and other benzene-related diseases can take years to develop, and exposure points may lie decades in the past. Nonetheless, victims have the right to pursue claims against their employers and other parties who negligently put them in contact with this harmful chemical. Let David Glenn help you explore your legal options. He is a dedicated advocate for benzene injury victims throughout Texas and nationwide. Contact Our Benzene Litigation Law Firm. 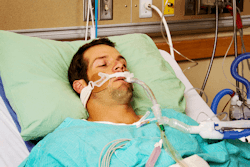 Have you or a loved one been injured due to benzene exposure? We are here for you. Call us today at 817-424-5999 or contact us online to arrange a free consultation with an experienced Dallas Fort Worth benzene exposure lawyer.